The particulars of Microsoft’s upcoming mobile OS, Windows Phone 8, codenamed “Apollo” has been leaked across the web, according to a smartphone review site – PocketNow.com. The reports indicate that the specs of the Windows Phone 8 were revealed in a video, however, folks at PocketNow.com were not able to grab hands on the video. 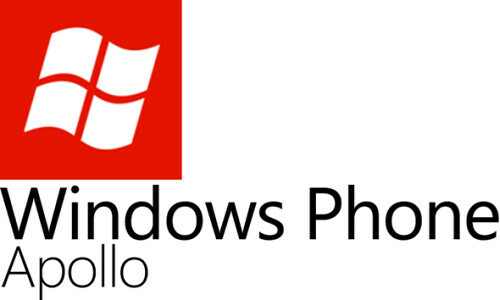 The next big thing in Windows market will be the Windows Phone 8 “Apollo” – All eyes are on it! It was confirmed at Microsoft Developer Network (MSDN) seminar in August 2011, and is expected to launch in mid-2012. The leaked video exposed details about what Microsoft has in store for the upcoming mobile OS. When Windows Phone 8 launches, Microsoft reportedly expects the Windows Phone Marketplace to have 100,000 apps available. At the end of 2011, the Marketplace offered about 50,000 apps. Support for dual cores: If someone says their phone has a dual-core processor that sounds very impressive. It means one side of the processor will be doing a task while the other side is doing another task. It’s very advantageous to multitasking scenarios, provided the operating system is designed to handle the two processors well enough to take full advantage of them. Microsoft has decided to include this feature in the Windows Phone 8 OS where you are allowed to do more work at the same time. Support for four different resolutions: Though specifics were not given by www.pocketnow.com, reports suggests WP 8 will be dealt with four different resolutions depending on what activity (like video recording, gaming, etc) the end-user is doing on his/her phone. NFC support: Near Field Communication (NFC) is a set of standards for smartphones and similar devices to establish radio communication with each other by touching them together or bringing them into close proximity, usually no more than a few centimetres. NFC devices can be used in contactless payment systems, similar to those currently used in credit cards and electronic ticket smartcards, and allow mobile payment to replace or supplement these systems. Windows Phone 8 will allow users to securely pay and share via NFC and manage an integrated Wallet experience. Carrier control and branding of “wallet” element is possible via SIM or phone hardware. MicroSD support: Like all latest cellphones, WP8 is supported with this feature for expandable storage. Shared components with Windows 8: Transitions to core components from desktop (Windows 8), including kernel, network stack, security components, media support, sensor fusion, security model, network, and video and graphics technologies are all coming to Phone from Windows 8. Simplified porting of desktop apps to mobile: Windows 8 desktop apps can be used in Windows Phone 8 too. Zune desktop integration scrapped in favor of new, unnamed syncing app: Microsoft is offering a very similar user experience across phone (Windows Phone 8), PC (Windows 8), and TV (Xbox vNext). Pocketnow says there will be a new sync client, and not Zune PC software, though there is no confirmation on this part, and a set of common cloud services that will work across all three. This includes the ability to sync content (photos, music, movies) between the three screens, phone management from PC or web, shared content between each device, and Xbox LIVE games, entertainment, and more. Deeper SkyDrive integration: Microsoft will make your content available on all of its platforms via SkyDrive. SkyDrive is a free file-hosting service that allows users to upload files to a cloud storage and then access them from a Web browser. It is part of Windows Live range of online services and allows users to keep the files private, share them with contacts, or make the files public. Publicly-shared files do not require a Windows Live ID to access. It includes ability to sync data such as music collections. Xbox Companion app will get Windows 8 partner client: Xbox Live on Windows Phone 8 provides some Xbox 360 features on their device by displaying the user’s avatar in a 3D fashion. Via “Games hub”, the users are able to interact with the avatar, view gamerscore and leaderboards, message Xbox Live friends, and Spotlight. Multiplayer (turn-based) gaming with live multiplayer functionality will also be released. Native code support: Support for more languages are coming to Windows Phone 8, simplified porting from Android and iOS. Rumors say that Windows Phone 8 will support up to 120 languages. App-to-app communication and integration: Windows Phone 8 apps, like Windows 8 apps, are sandboxed from each other; this new system will provide a Windows 8 contracts-like app-to-app communications capabilities. In short, this feature will enable information exchange between apps. Skype client: With deep operating system hooks that will make it almost identical to placing standard voice calls. Still a separate but better app and not integrated into OS, still it is optional. Camera betterment: This app supports “lenses”, which allow third parties to skin and add features to camera interface. We will witness a far more powerful camera experience. DataSmart: A way to actively save cellular data when possible and avoid Bill Shock. It basically tracks and reports usage via app and live tile. Gives preferential treatment to WiFi, can automatically connect to carrier-owned hotspots. Internet Explorer 10: Windows Phone 8 will continue to use a highly tuned version of IE which utilizes the latest web technologies. Proxy server will compress websites in Internet Explorer 10 up to 30 percent. Native Bitlocker encryption: WP8 will apparently feature native BitLocker encryption similar to the one found in Windows 7. This will help you to keep your files secure from another party to view information in your phone. Support for proprietary, custom built apps to be deployed behind company firewalls. With the leaked information about the “Apollo”, Microsoft needs to reassure its Windows Phone 7 buyers that their phones will be upgradable to the new version. Users on the Internet are concerned if they buy the existing Windows Phone 7.5 phones, say Nokia Lumia 900, the question remains whether they will be able to update the phone to “Apollo” or not. Prospective buyers on the other hand are now giving it a second thought whether to buy a Nokia Lumia 900 or not, as they want to see what Nokia has in store for the Windows Phone 8. The current version, Windows Phone 7.5 “Mango” has been successful enough for Microsoft to get the required attention when it launches WP Phone 8. Although the Windows Phone 7.5 OS internally identifies itself as version 7.1, it is marketed as version 7.5 in all published materials intended for end-users. It was a huge success in the market and a lot of consumers appreciated for its look and feel. The most exciting feature in Mango is unified messaging, which brings all your conversations under one hub. It also includes conversations over SMS, Live Messenger and Facebook, however it does not include third-party applications.